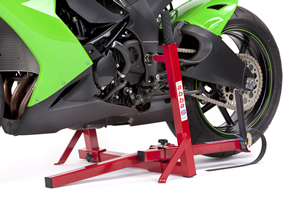 So what is the best motorcycle paddock stand on the market today? Thankfully leading UK motorcycle publication "RiDE Magazine" have carried out their own independent test in the April 2017 issue of the magazine. RiDE, is the only monthly motorcycle magazine in the UK that takes comparative testing of kit seriously. All products are tested on the road or in the lab to find the best performers and the best-value products, which give the best bang for the buck. 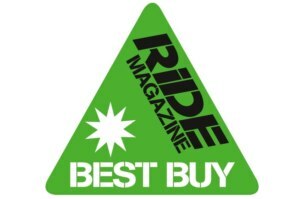 Only outstanding gear can win a RiDE triangle and that means you can buy a Recommended or Best Buy product with confidence. The abba Superbike Stand has also won a RiDE Magazine "Recommended" Triangle. The abba Superbike Stand has also won an MCN product award. No other paddock stand is decorated with as many awards as our abba motorbike stands! See the winning superbike package 2 in action on a Honda Fireblade. More video's can be found by clicking on the "Videos" Tab at the top of the page. abba Gallery Section - Want to see your bike on the abba superbike stand? We should have it here. Products Protected under patent laws.